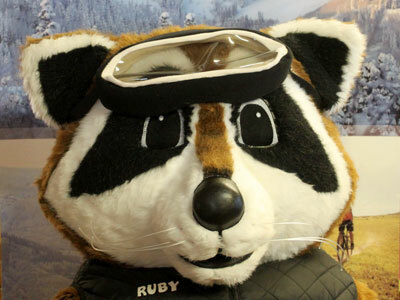 Some of Deer Valley Resort's greatest adventures come in pint-sized packages. Our kid-friendly skiing, child care programs and Summer Adventure Camp are designed for the ultimate in fun and adult-approved peace of mind. From toddlers to teens, Deer Valley's children's programs provide kids with creative, age-appropriate activities in a small group setting. 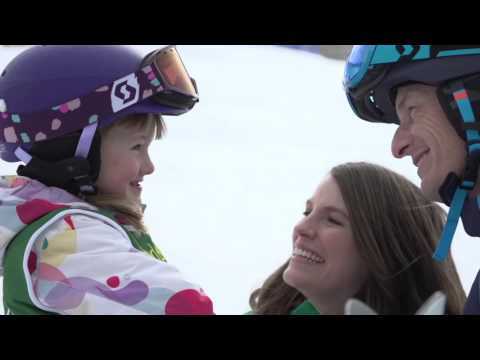 By limiting the instructor-to-child ratio, the Deer Valley Gold Standard of Instruction, we ensure that each child receives the absolute best care while you're away. Whether they're crafting an art project in our Children's Center or befriending our fuzzy mascots on the Adventure Trails, they'll never run out of excitement. Deer Valley's limited number of daily lift ticket sales also means that our littlest skiers have more terrain for an enhanced learning experience. Cancellations/Changes - We will gladly give a full refund if reservation is Canceled before 5 p.m. two days prior to the reservation; otherwise, a $45 fee will apply. 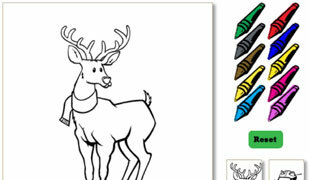 Download Deer Valley's Children's Coloring Book to color at home or any time. 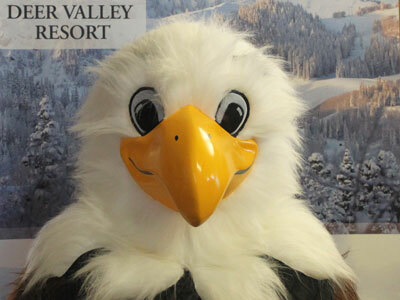 Use your imagination and color the mascots online. 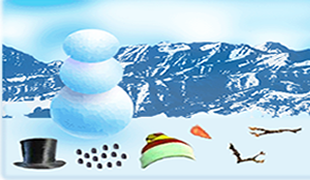 Build your own snowman in this online game. 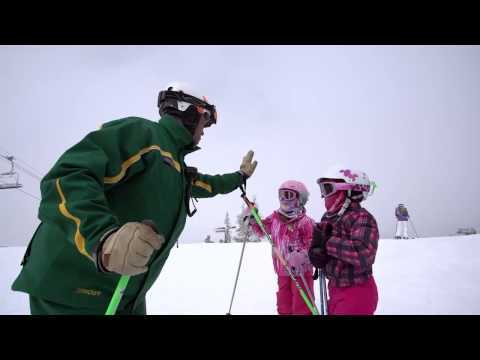 Eager 3-year-olds receive one-on-one ski instruction with the Fawn Special. 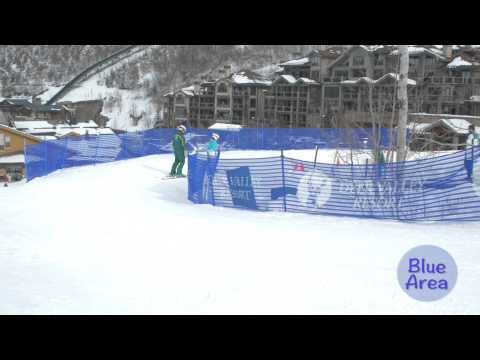 Children ride the magic carpet and learn the fundamentals of skiing at the Candy Land obstacle course. Indoor activities are included. 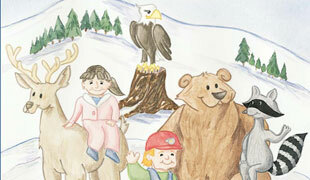 In the Bambi Club, each 4-year-old is paired with one other student and a ski instructor. Children learn to ski at the Candy Land obstacle course in the company of new friends and our happy mascots. Indoor activities are included. Check-in for morning sessions is 8:30 a.m. Check-in for afternoon sessions can be as early as 8:30 a.m., but we encourage arrival during the slower period of 9:30 - 10 a.m. and no later than 11:15 a.m.
As part of the Reindeer Club, children ages 5-6 will spend the day learning or improving their skiing techniques with exciting races and special mountain scavenger hunts in small groups. 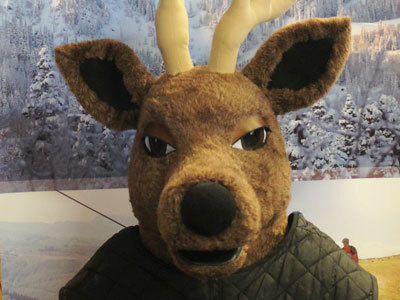 Deer Valley’s friendly mascots are known to make appearances throughout the day. Children ages 7-12 will explore the mountain in small groups, where they will learn the secrets of skiing through themed activities and scavenger hunts in the Adventure Club. 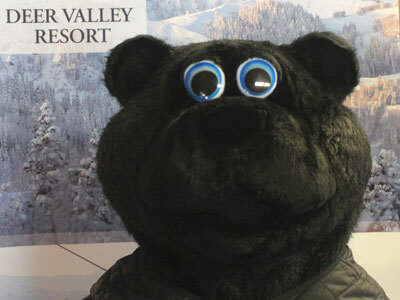 They may just come across one of Deer Valley’s furry mascots during their adventures. Offered during holiday and peak periods, the Teen Escape program is for children ages 13-18 who want a little more freedom. Teens are grouped together by ability levels in small groups and explore the mountain in the company of a ski instructor. Children of any age can receive one-on-one instruction in a customized private lesson suited for their individual needs. Send your little ones on the adventure of the summer with Deer Valley’s Summer Adventure Camp. Campers will discover a mountain of treasures and wonders through adult-supervised and age-appropriate activities like sports, nature studies, scavenger hunts, art and community projects and field trips with our state-licensed counselors.